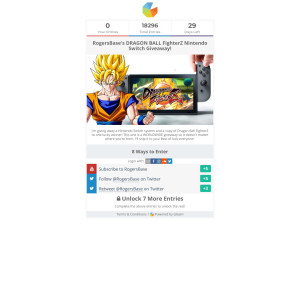 I'm giving away a Nintendo Switch system and a copy of Dragon Ball FighterZ to one lucky winner! This one is a WORLDWIDE giveaway so it doesn't matter where you're from, I'll ship it to you! Best of luck everyone!